Art has always been a part of Linda Serrao’s life, and in her youth she “filled the back sides of used paper” that her father would bring home from work. Raised in California’s Central Valley where there was limited access to art schools, she “checked out every book on drawing from the Bookmobile”, teaching herself functional anatomy of people and animals before high school. Serrao began her professional career in jewelry making, selling to boutiques in the San Francisco Bay Area. Growing from the miniature scale of jewelry, Serrao found her true calling in large figural bronze sculptures. According to Serrao, her works “emphasize the character and inner spirit of her subject and illustrate universal experiences and concerns common to all cultures”. 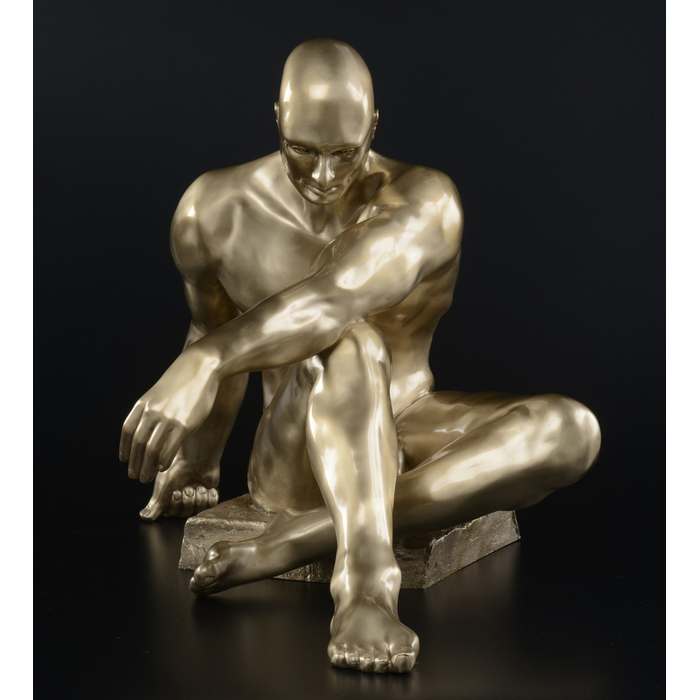 Serrao specializes in site-specific bronze sculpture for public, private, and corporate commissions. She received a commendation from the California State Senate for her contribution to public art. Her bronzes are in collections throughout the United States, Canada, Mexico, Spain, Australia, and New Zealand, and are recognized for their candid and intimate glimpse of the subject “immersed in a personal moment”. and in creatures both real and imagined.